Caring for our seniors is both challenging and fulfilling. We have the task to look after their medical welfare, nutrition, and their overall wellness. This is no easy task because it involves training and teamwork between the caregiver and the patients. Abundant Life Assisted Services, a name you can trust in senior home care services in Georgia, has been known to have one of the competent and highly trained caregivers. Today, on the blog, we will give you some surefire tips on how to be effective in caregiving. 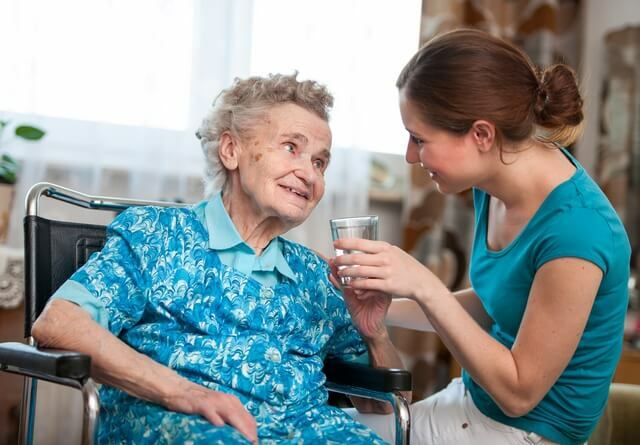 The perks of home care are that they senior gets all kinds of health care in the comforts of their house. The main priority now is how to make their house accessible and convenient for them. check the handrails, stairs, and the floors. Make sure that the rails are attached properly. You can adjust the stairs or use a platform instead of in case your patient is in a wheelchair. Keep the hazardous materials away from reach. This could be mistaken for a medicine or something and it may cause accidents. A personal caregiver has the sole responsibility of looking after the health of the patient. This includes checking their diets and their nutrition. In addition, they also have to make sure that their medicines are taken at the right time and in the right dosage. Being mindful with their medication can greatly help in the improvement of their condition. As caregivers, it is our job to help them be reminded to take their medicines on time. Our patients can be difficult when it comes to taking their medicine, especially if they do not like the taste. We can make adjustments for it to be easy on them. Generally, a caregiver has an all-around job when it comes to their patient’s health. It can be stressful at times but when we can manage their schedule and we have organized their daily nutrition, you can eventually breeze through it. For more tips on effective caregiving, trust only the best at Abundant Life Assisted Services, your best partner when it comes to senior care services. You can visit our website or leave us a message and we will answer your queries in no time! This entry was posted in Elder Care and tagged Elder Care Tips, Health Care, Home Care, Home Health, Hospice Care, In Home Care, Senior Care, Senior Care Services, Senior Home Care. Bookmark the permalink.